This ELH Challenge was to share an interactive timeline example. 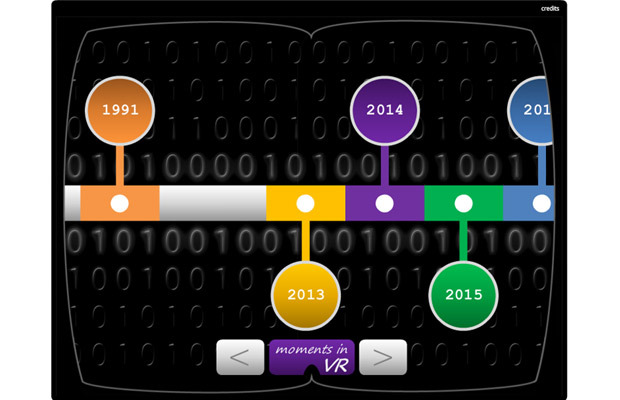 I decided on six nodes representing key moments in the development of Virtual Reality (VR). Once I added timeline labels and grouped the timeline together, the main challenge was getting the navigation system up and running. I didn’t want the timeline moving any further once it had reached the end, so I created a variable and tied it to the navigation buttons. Each time a button was clicked, it would adjust the variable by 1. Once the variable reached a set value, the navigation buttons would stop moving the timeline. In testing this worked unless I clicked the navigation buttons numerous times. This would continue to change the variable even if the timeline wasn’t moving. I fixed this by adding a condition to the button itself so the variable wouldn’t change once it reached a set value.